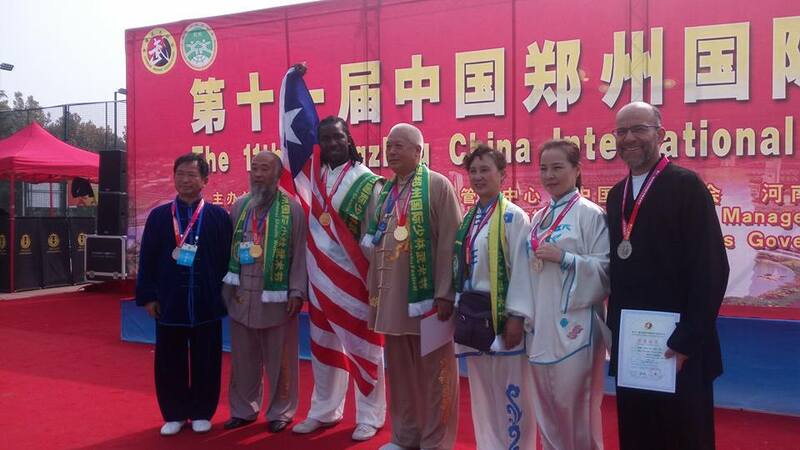 Liberia's martial arts champion, Master Junior Pewee Russian and Amos Manneh Sawyer, represented Liberia at the 11th Zhengzhou China International Shaolin Wushu festival, held from October 16th to 20th, 2016 in Zhengzhou, China. As the birthplace of Shaolin Wushu, Zhengzhou City has successfully held Zhengzhou China International Shaolin Wushu Festival 10 times in the spirit of friendship, communication, and common progress in the past twenty-five years since 1991. Zhengzhou China International Shaolin Wushu Festival is a comprehensive festival comprising of Wushu, business and trade, tourism and culture exchange. In this Festival, there were lots of activities including Wushu competition, Taolu Competitions, Wushu performances, Chinese Martial Arts Duan Wei Exam，Chinese martial arts training and exchange，grand evening party, Greeting ceremony in Dengfeng，sightseeing of Shaolin Temple, Zen Music ShaoLin Grand Ceremony, and other culture exchange activities. Master Pewee participated in the International Male Group C 42 Style TAIJI QUAN, winning a gold medal and he also participated in the Shaolin Gunshu, winning the silver medal. His student, Amos Manneh Sawyer won two bronze medals in his competitions. Thanks for representing Liberia and bringing us joy and honor.